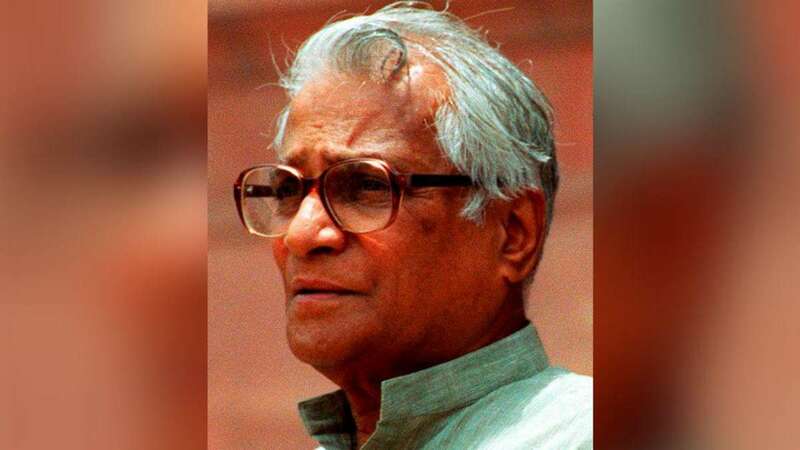 New Delhi : Former Defence Minister of India, George Fernandes passed away on 29 January 2019, Tuesday. He took his last breathe at the age of 88. Media reports say that Fernandes was suffering from swine flu in the last few days. Fernandes was also suffering from Alzheimer’s disease for a long time. Mr. Fernandes had served as the defence minister in the NDA government headed by Atal Bihari Vajpayee between 1998 and 2004. His last presence as a parliamentarian was as a Rajya Sabha MP between August 2009 and July 2010. PM modi also added, "When we think of Mr. George Fernandes, we remember most notably the fiery trade union leader who fought for justice, the leader who could humble the mightiest of politicians at the hustings, a visionary Railway Minister and a great Defence Minister who made India safe and strong". To inform, Fernandes a native of Mangalore founded the Samata party and also served as a union minister in the Morarji Desai government. He stepped down as the defence minister in 2004 after the ‘coffingate’ scandal broke out. During the tenure of George Fernandes in 1998, India carried out five nuclear tests in Rajasthan’s Pokhran under the guidance of former Prime Minister Atal Bihari Vajpayee. It was after the Pokhran nuclear test that India gained a new identity, despite of sanctions imposed by US on the country.